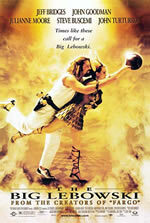 Tagline: Times like these call for a Big Lebowski. The Story: Althoug The Big Lebowski is not really about drugs or marijuana, it is a favourite movie of many smokers, so that`s the reason it is on our list. The Big Lebowski is about a mistaken identity when "the Dude" is caught up in a kidnapping with his bowling buddy Walter (John Goodman). Though the plot is not the main focal point of the film. This movies highlight is the clever dialogue, the witty lines, the twisted and hilarious characters and the brilliant music. Though that's not to say the story isn't filled with entertaining twists and turns that keep you on the end of your seat until the very end. The superb script was also backed up with a brilliant cast, with a great performance from Jeff Bridges as "the Dude", Julianne more, John Goodman as the Vietnam veteran Walter Sobchak, and Steve Buscemi. There was also a notable appearance from John Turturro, a Coen brother's regular. All of the characters are highly characterized from the robe and sunglasses wearing "Dude" to Walter with a bandanna and cigarette bringing up memories of Vietnam in any occasion. 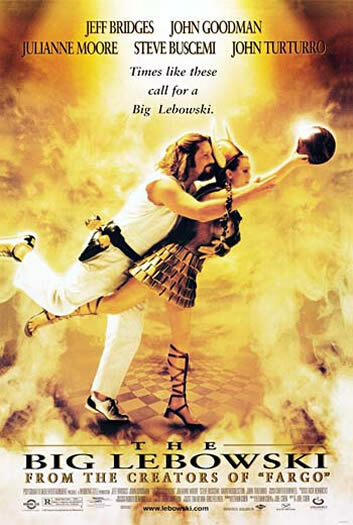 The soundtrack of The Big Lebowski is defiantly a highlight with music that sets the mood and the pace of the film with tracks from Bob Dylan, the Creedence and Kenny Rogers. The music plays a big part in some scenes in creating the feeling of the movie, and there is a heavy emphasis on the music during "the Dude's" hallucinations where you get to hear the tracks in full. Though The Big Lebowski may not appeal to everyone, there are enough witty lines, captivating plot twists and interesting characters to make this movie worth checking out if you are a fan of comedy or thriller, and a must-see movie for fans of the Coen brothers.